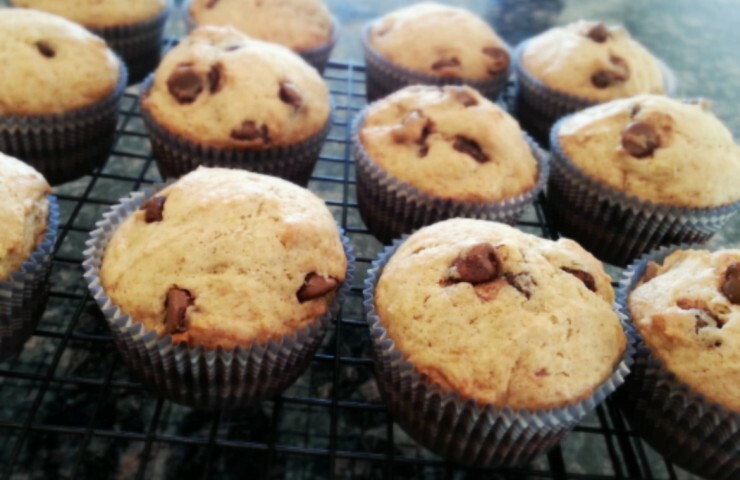 I want to share one of my go-to muffin recipes that I absolutely love with all of you. This recipe comes from my mom and is one that I grew up enjoying. It’s a basic recipe that is easy to prepare and has yet to fail me. 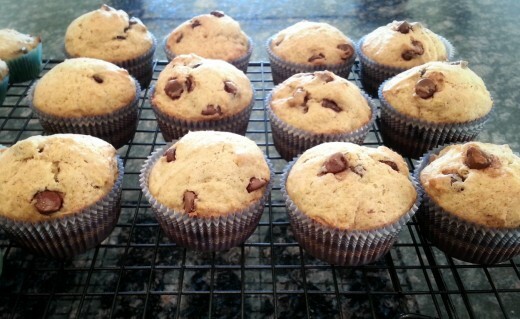 These muffins come out of the oven perfect and moist with just the right amount of chocolate. Before preparing these muffins, begin by preheating the oven to 350°F. Place 1/2 cup of butter (1 stick) in a medium-sized bowl and microwave about 30 to 45 seconds, until melted. 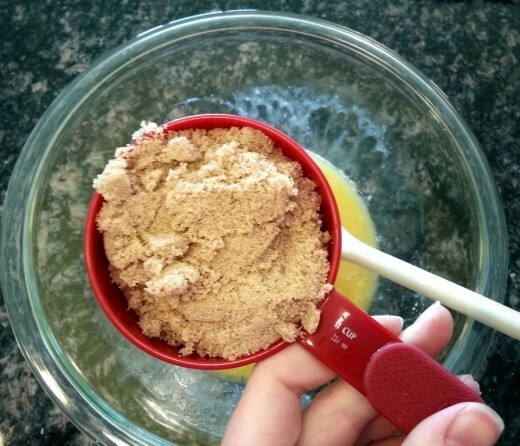 Mix in 1 cup of packed brown sugar. Beat in 2 eggs and add 1 teaspoon vanilla. I prefer to add the eggs after the brown sugar because the melted butter could get quite warm and I don’t want to risk scrambling the eggs. Add 2 teaspoons baking powder, 1/2 teaspoon of cinnamon (I like to use a little extra because I love cinnamon) and 1/2 teaspoon salt. Gently stir in 2 very ripe bananas. I oftentimes like to use bananas I’ve had in the freezer; I’ll defrost them in the microwave if I’m running short on time, or place them in the fridge overnight to thaw. The mixture won’t be entirely smooth at this point; the bananas won’t fully incorporate and that is totally fine. 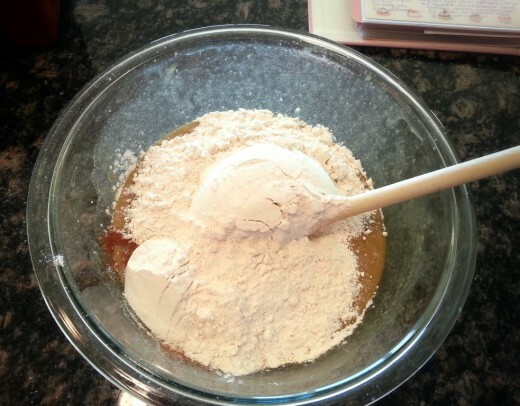 Mix in 2 1/4 cups flour and stir until combined. 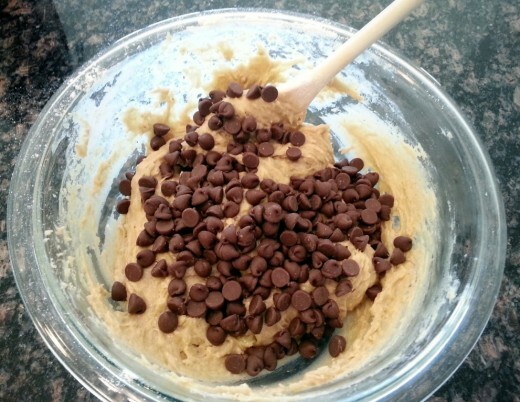 Fold in 1 cup chocolate chips and 1/2 cup walnuts if you like (I usually make mine without). Place muffin/cupcake liners in your muffin tin. I tend to make a batch of regular-sized muffins and mini muffins. As you can see, the batter is enough for 1 dozen regular-sized plus 1 dozen minis (or about 4 more big muffins). I place both tins in the oven at 350°F. After 11 to 12 minutes, I remove the minis, then leave the big muffins to bake another 13 to 14 minutes. Typically the big muffins need about 25 minutes to bake. Check the muffins by inserting a toothpick into the center; if the toothpick comes out clean, the muffins are done. Transfer the muffins to a cooling rack and let cool for a few minutes before serving. Store the remainder of the muffins in an air-tight container. 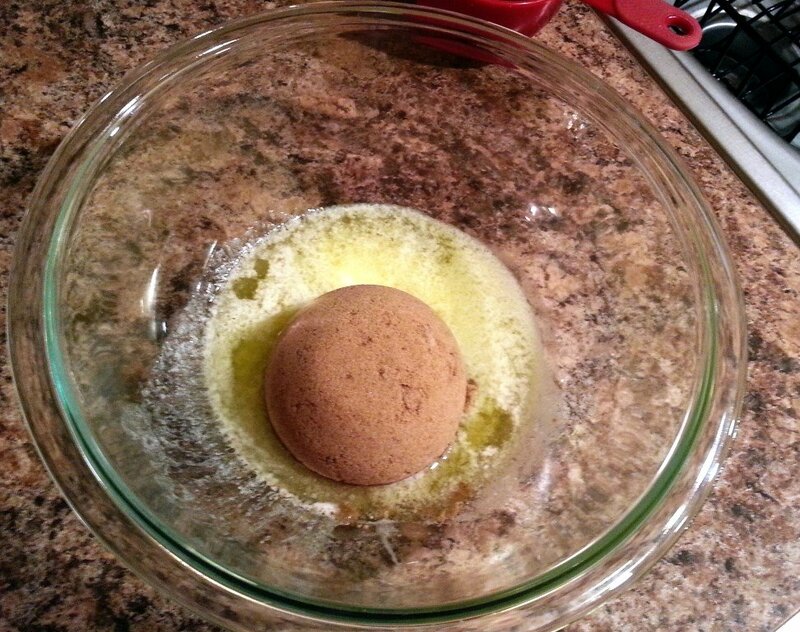 Melt butter in a microwave safe medium-sized bowl. Mix in brown sugar, then beat in 2 eggs. Add vanilla. Gently stir in 2 ripe bananas. 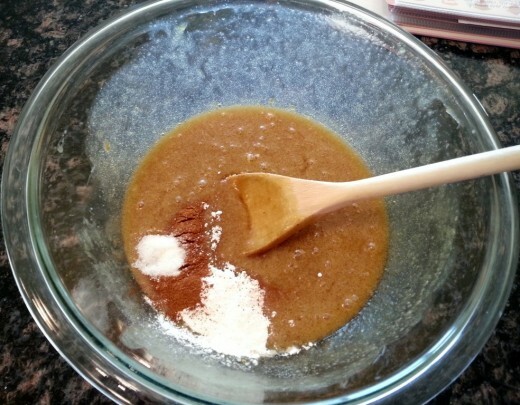 Add baking powder, cinnamon and salt, then mix in flour until combined. Fold in chocolate chips and optional walnuts. 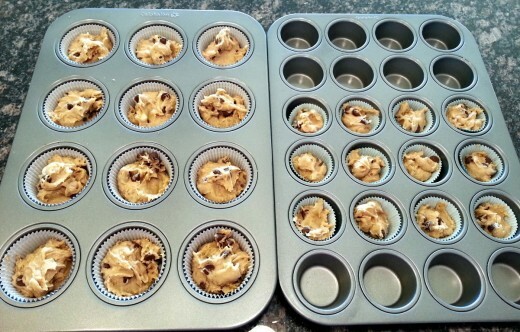 Place muffin/cupcake liners in your muffin tin (or spray tin with nonstick cooking spray) then scoop out batter. Bake at 350°F for 25 minutes. If you're making mini muffins as well, remove them after 11 to 12 minutes, then continue baking the regular-sized until 25 minutes is reached. Test to see if they're done by inserting a toothpick in the center; if it comes out clean, the muffins are done. This recipe makes about 16 regular-sized muffins or 1 dozen regular-sized and 1 dozen mini muffins.